Have you ever dreamt of taking the road without knowing what would be the journey? 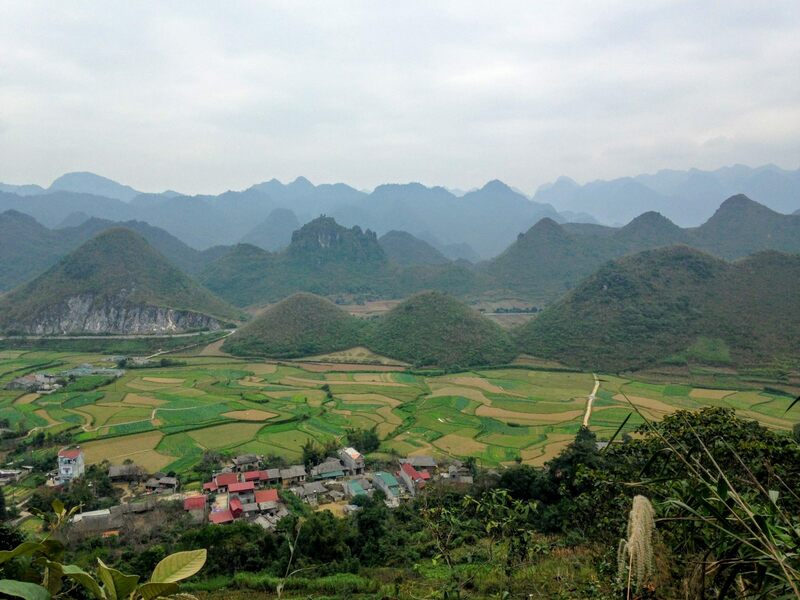 Well, the extreme north of Vietnam is made for you. Near the Chinese borders, these big mountains rise at the horizon in a perfect harmony with the rice fields made by the hand of tribes Hmongs, Daos and Tays. You just need to get lost on the road to see breathtaking landscapes, so come on take your motorbike! Your road trip starts with the climbing of the cong troi, literally the sky doors to reach the rocky valley of Quan Ba where you can take a break to admire the twin hills. Passing some remote villages, you arrive to Yen Minh, a good place to fill up your tank as well as your stomach. 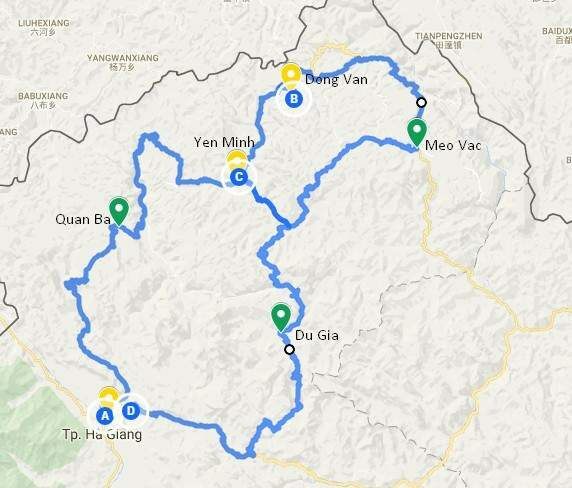 On your way to Dong Van, you discover the lunar scenery of the extreme north of Vietnam. Every U-turn is a new surprise so take your time while driving. 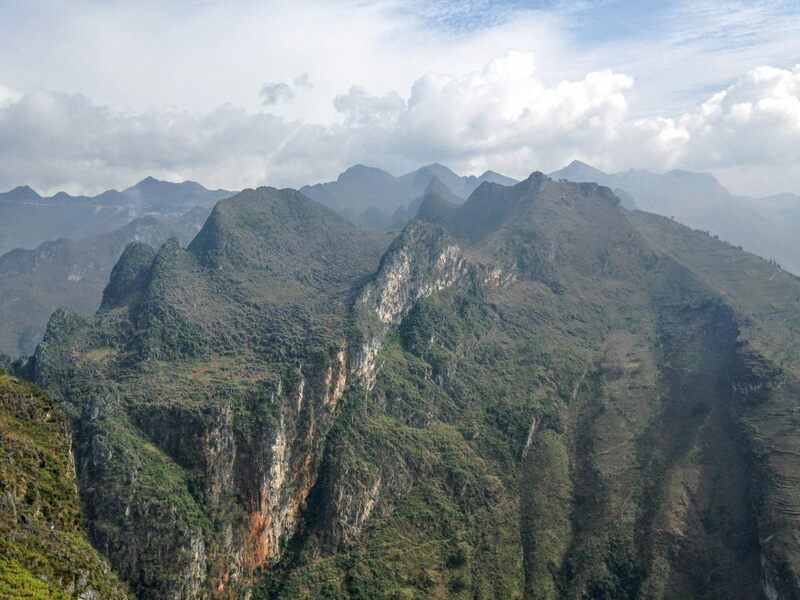 Only a few kilometers from Dong Van, the incredible mountains of Meo Vac will take your breath away. On the top of the hill, you will meet some tribes selling flowers. You can stop on the road in the village of Lung Phin to play with kids, they love foreigners. Back to Yen Minh, you can enjoy a long night sleep in a homestay before ending up your motorbike trip. This last part of the loop doesn’t appear on any travel guide but it might be the most incredible. 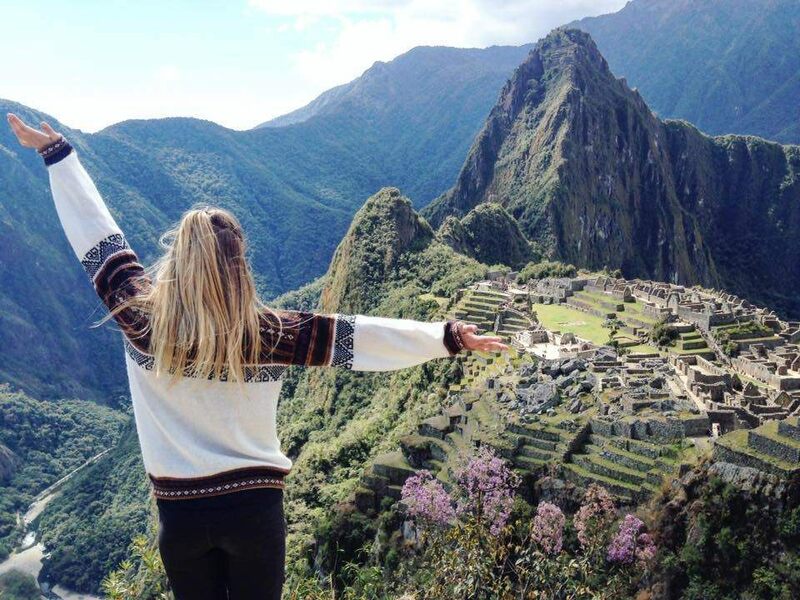 You will start your journey climbing the mountains where rice fields reach the sky. After a 2-hours driving, you will see a variety of landscapes and a lot of viewpoints. You will reach the village of Du Gia, secretly kept in the green valley. Once you are there you can fill your tank and have a lunch. 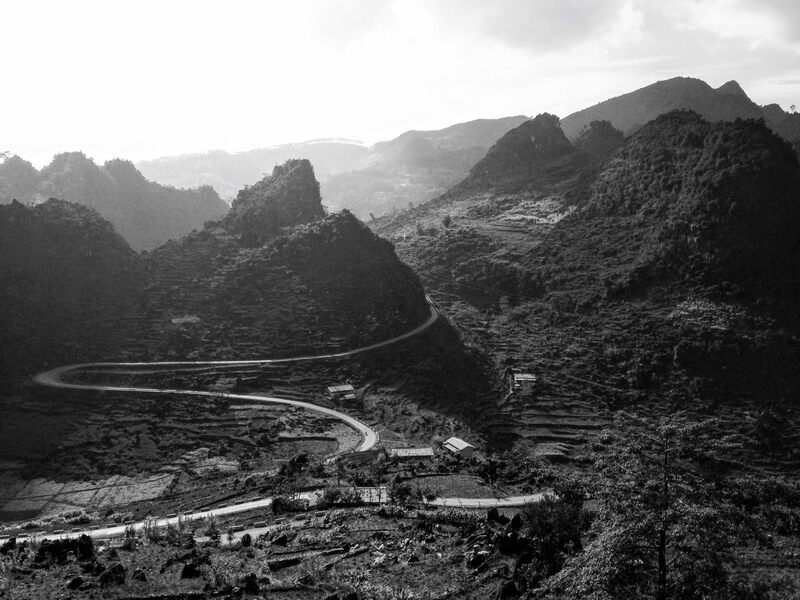 The road to go back to Ha Giang after this peaceful break might be the hardest part of the whole motorbike trip since it is still in construction. Anyway, you won’t regret it! What to know about the loop? - Travel guides will advise you to buy a permit to stay in the extreme-north. This document costs around 300 000 VND but you won’t need it if you stay in homestays because they don’t ask for it. So you can save your money! - Download the FREE App MapsMe for iOS & Android before starting your journey, you just need to update maps and it works offline wherever you are. Every village has its range of homestays (ngha nghi). Usually, they are cheaper than hostels but offer the same services (private room, hot shower and wifi). 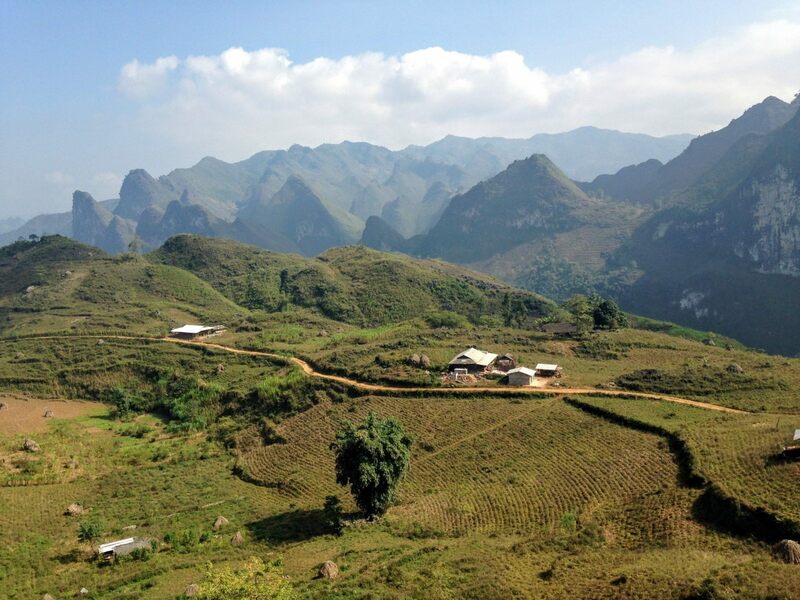 In Ha Giang, you can stay at the Kiki’s House which is a new hostel own by a local family which will make you feel like home. It offers different types of accommodation from private rooms to dorms, all including breakfast, hot shower, wifi, tea or coffee. Where to rent a motorbike? 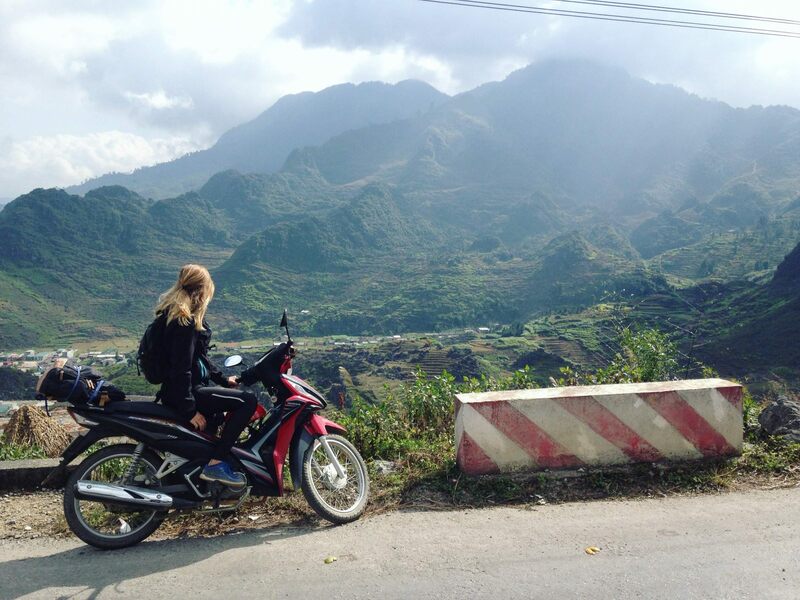 The average price for renting motorbike in Ha Giang is 200 000 VND/day (9 USD), but if you stay at Kiki’s House you can have one for 150 000 VND/day (7 USD). You should drive a semi-automatic motorbike because mountains are too high for an automatic scooter. Don’t worry, it’s actually super easy to drive! Be careful with the renting company, take pictures of the motorbike and ask for a signed contract with insurance documents of the vehicle.